Over the last few weeks, Jeezy’s been on album promotions for his forthcomingSeen It All: The Autobiography project. 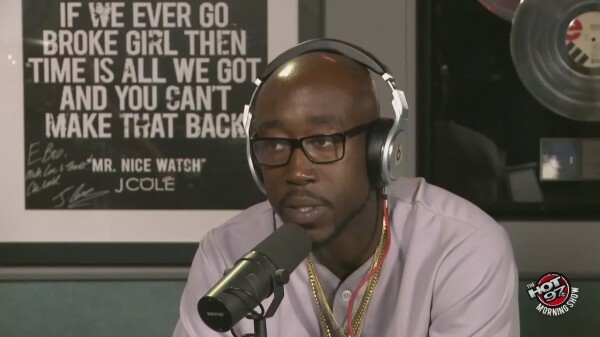 Although new material is the reasoning he’s back in the limelight for promo, interviews have finally had the chance to ask him about Freddie Gibbs’ departure from CTE World. Young cited investing money in Freddie’s career but allegedly saw no positive return in profit back after shooting multiple music videos and shopping him to labels. The B.F.K. finally had the chance to clear things up and give his side of the story. In an interview for Hot 97’s Morning Show, the Gary rapper opened up on wanting to remain underground and not going mainstream like his previous cohort was aiming for. He also revealed never taking a dollar from Jeezy or an advance, but did confirm the two only shot one video – which was trashed due to his not liking of the outcome. Watch above discussing the Eminem and Jeezy controversy he was in due to a song leak and more.